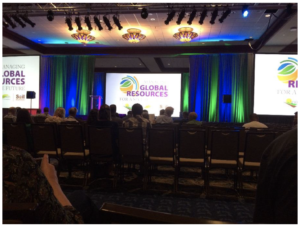 The American tri-society conference, “Managing Global Resources For A Secure Future”, jointly organised by Soil Science Society of America, American Society of Agronomy and Crop Science Society of America was held in Tampa in Florida, USA, from 22-25 October 2017. Around 4000 scientists from around the world attended the conference. 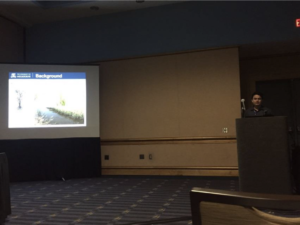 I gave an oral presentation titled, Microbially mediated nitrogen loss and retention pathways in Australian rice paddies. The 15 minutes oral presentation was based on my experimental work during my PhD candidature. The presentation included my findings on the nitrogen loss and retention pathways in Australian rice paddies. Presenting my work in front of experienced scientists from around the world wasa unique experience for me. I also got some important questions and feedback during the discussion session after my presentation which helped me to think about my research findings in a broader perspective. I met several scientists from around the world those who are working in my field of research. This provided me with the opportunity to build networks and to know the research activities being carried out in other research institutions. Lastly, I attended presentations from several scientist during the conference. 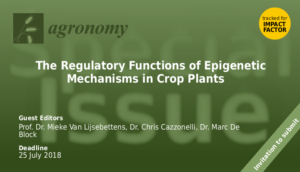 This gave me an opportunity to learn about novel findings in the soil and crop sciences. 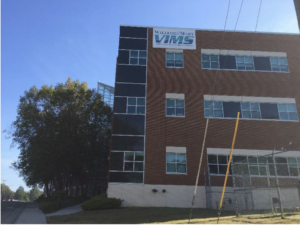 I visited Virginia Institute of Marine Science (VIMS; see photo) and stayed in the institute for two days during 19-20 October. Scientists in the VIMS are mainly focused on costal and estuarine sciences and also in grassland ecosystems. There are experts working in nitrogen (N) transformation in anaerobic soils and sediments using 15N isotopic tracing technique in the institution. I visited the institute to meet Associate Professor Bongkeun Song and his research team who are studying N transformation using 15N isotope tracing technique. This is one of the techniques I have been using in my PhD research work. I had an excellent meeting with Associate professor Bongkeun Song, whom is working on nitrogen transformation pathways in various ecosystems including agroecosystem. He is an expert on using 15N tracer to quantify nitrogen transformation pathways. I was in contact with Bongkeun for the last two years through emails and I had frequent discussion on my research methodology with him. I met with Bongkeun Song on the 20th of October, 2017. We had a discussion on my research, in particular on the research methodology and outcome of my experiments. I got some valuable inputs from him on my research work. A/Professor Bongkeun took me around his laboratory and explained on the use of some recent Isotopic Ratio Mass Spectrometry (IRMS) instruments and their use in our research. We also discussed about possible collaboration in the future. I also met with few other researchers in the VIMS that are working in my research area. We had a discussion on the methods and instrumental application in our search. Acknowledgements: The financial support from the Plant Nutrition Trust Award provided me with a great oppurtunity to attend one of the most important confreneces in the area of soil and crop sciences. I would like to sincerely thank the trust. COMBIO 2019, (23th-26th September) in Sydney, will be the venue of our annual meeting held in our 60th Anniversary year of ASPS. As well as the science sessions at COMBIO we will have 2 events for ASPS, the ASPS dinner which will be held on the Tuesday night – you will be hearing about this event very soon – and the AGM which will be held on the Wednesday lunch. We hope you can all attend and make this a special COMBIO in our anniversary year. Furthermore, we are looking for volunteers to help us to continue in our role in assisting and shaping the future of the Australian Plant Science community? If you have ideas of how to build and strengthen our community, please consider joining the ASPS exec. If you are keen on taking on one of these roles please fill out the attached form. It is our pleasure to announce two major ASPS awards – the 2018 Peter Goldacre Award and the inaugural Jan Anderson Award. These are the premier research awards from ASPS in a calendar year. The Peter Goldacre award is awarded for research contributions for ECRs within 10 years of their active research career, and the Jan Anderson Award is a new award specifically for MCR female researchers. Both award have been named after researchers and are supported by donations. More details can be found on the ASPS website. It is our pleasure to announce the following awardees. Both Caitlin and Eloise have been invited to receive their awards, and give their award lecture, at COMBIO 2018 to be held in Sydney this September. Many congratulations to both of you on your significant research achievements on behalf of ASPS. Please register for COMBIO if you haven’t already to support Australian plant sciences and discuss your research with your peers. It was extremely difficult to pick a single winner for both awards this year, due to the extremely high quality of nominees. This bodes well for the future of Plant Sciences in this country, but it also means that some very talented researchers have missed out on the awards. ASPS would like to congratulate all nominees for the quality of their applications and their contributions to plant science research. This is one reason we felt there should be an additional award starting this year, as many of our talented researchers are deserving of extra recognition. We are also looking to role out discipline specific awards from 2019. April GPC E-Bulletin and employment opportunities. We have several employment opportunities posted on the ASPS job board here. First of all, we’d like to extend a warm welcome to our new sponsor, Frontiers in Plant Science. Articles published in Frontiers are open access and freely available to everyone, allowing researchers from around the world to access the latest ideas in plant science. We are excited to announce that the Global Plant Council will be holding a workshop entitled “Enhancing Global Collaborations in Crop Science” at the ASA CSSA annual meeting in Baltimore, Maryland, USA, on 4th November. The workshop will cost just $20, and will bring together researchers from around the world to discuss how best to facilitate international collaboration between researchers and policy experts in crop science. Description: The pressing challenges of providing safe, nutritious, and quality food to a growing global population in a changing climate cannot be met by researchers and policymakers working independently in distinct disciplines. While excellent plant and crop science research is currently underway around the world, we need to facilitate international collaboration to increase both the speed and effectiveness of our response to the challenge of food insecurity. This study shows how the peptide CLE25 moves from the roots to the leaves when water is scarce and helps prevent water loss by closing pores in the leaf surface. If the ultraviolet radiation from the sun damages human DNA to cause health problems, does UV radiation also damage plant DNA? The answer is yes, but because plants can’t come in from the sun or slather on sunblock, they have a super robust DNA repair kit. 04–07 November 2018. Baltimore, Maryland, USA. 10–14 September 2018. Roscoff, France. 18–21 June 2018. Copenhagen, Denmark.